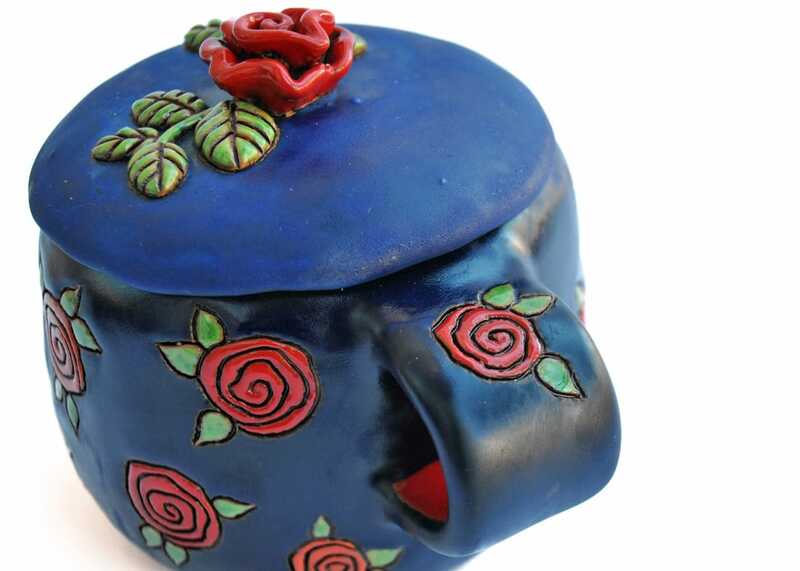 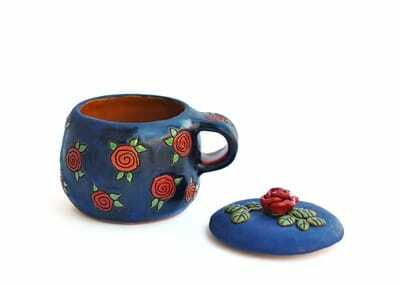 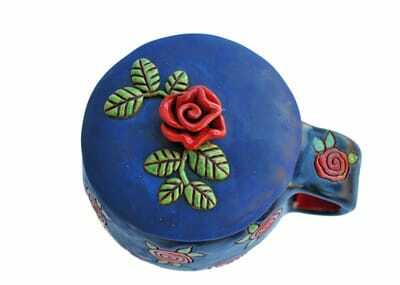 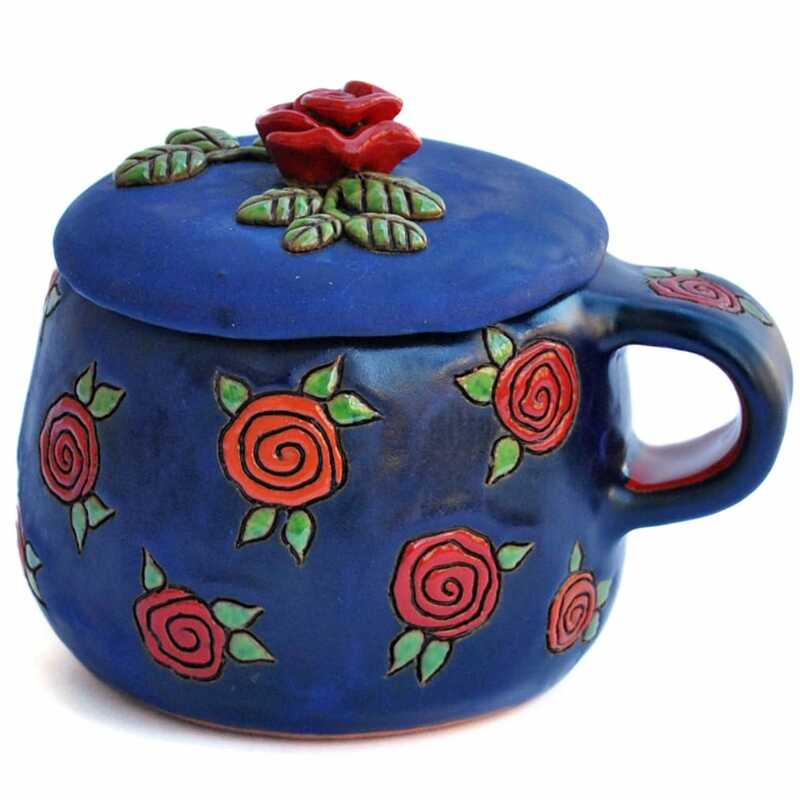 This deep blue romantic cup is covered in matte blue glaze with patches of steampunk-ish gloss, and studded with red roses. 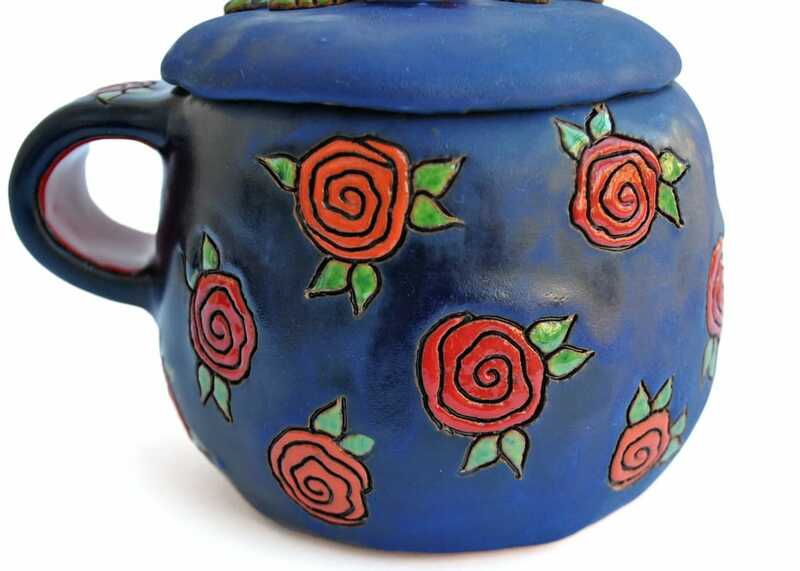 The uneven glaze and the slight imperfections make this handmade item a live and warm one-of-a-kind companion for your evening cookie and book. 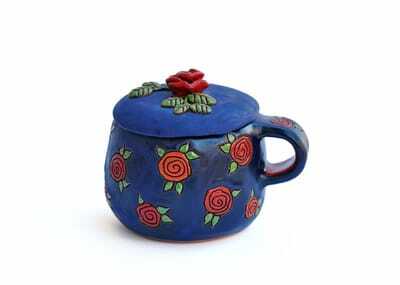 ​The cup cosily stands 10 cm (4 inches) tall.